Despite its flaws, the BoAt Rockerz 285 has the potential to attract customers who prefer additional bass and sharp highs in their sound, and do not listen to music at above 50 percent volume. The overall construction is good in terms of ergonomics, and retains its fit even during activities. The design may not have much flair, but is objective and there’s nothing much to fault it on. To sum up, the BoAt Rockerz 285 is not downright recommendable, but can be kept as an option in the sub-Rs. 3,000 price category for wireless in-ear headphones. 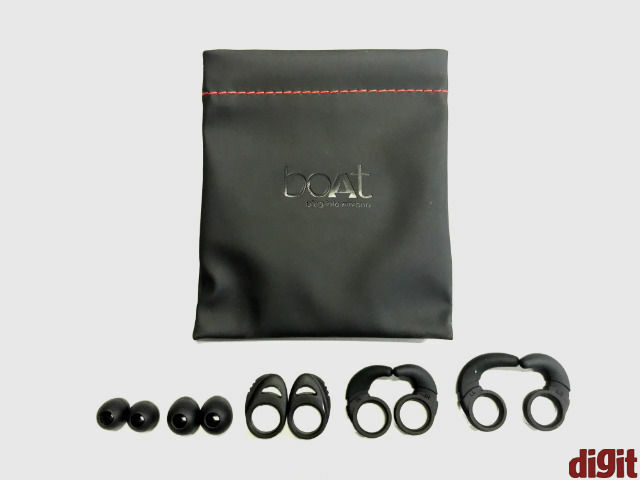 BoAt has been steadily evolving as a major player in the affordable personal audio category, diversifying its product portfolio into a wider set of offerings. The company has been focusing majorly on wireless speakers and headphones, having clearly recognised the prevalent trend of wireless audio in mass markets. 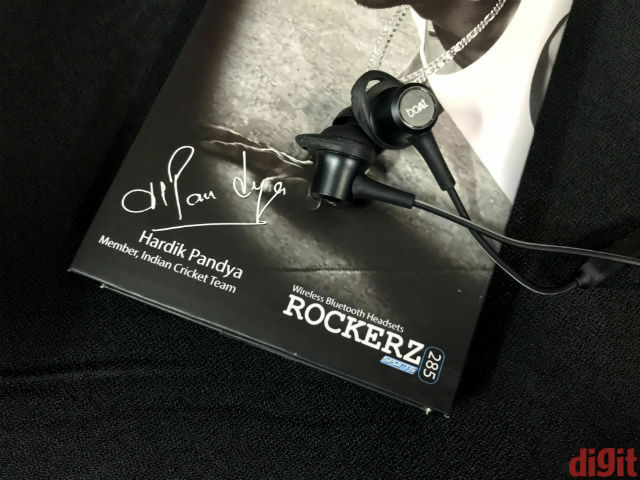 In such a situation, the BoAt Rockerz 285 enters the hotly-contested budget in-ear headphone market in India, which has a whole bunch of new companies vying for attention. The company has also struck a deal with Indian cricketer Hardik Pandya to endorse the product, and has attempted at providing a more premium experience than what this category typically does. 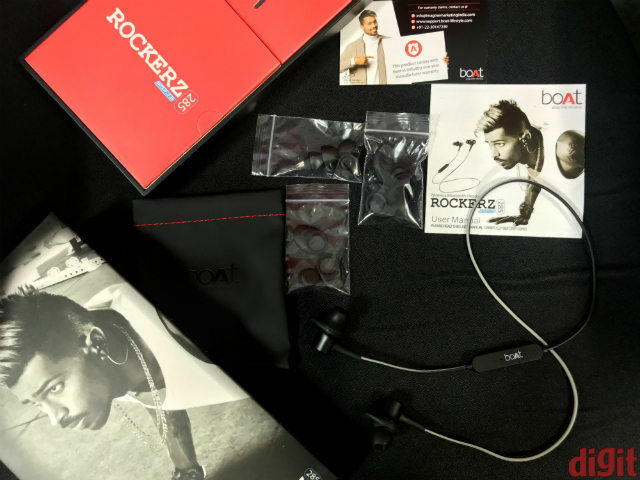 The BoAt Rockerz 285 carries more flair in its packaging than the actual headphones. The earpieces have a near-generic design, and is connected by a single wire. Along with the rubberised eartip, you get an additional sort-of reinforcer that helps keep the earpieces in place. This is a thoughtful addition as it helps you obtain a snug fit, and aid passive noise cancellation as well as sweat resistance. BoAt includes four different sizes of eartips and the reinforcers, which should be enough for most to find their ideal fit. The earphone has black metal casing on the outside, with inward-angled eartips that fit better than in-ears that have straight eartips. The overall build quality is quite decent, and has fared appreciably through all the rough handling that we’ve put it through. The wire, though strong enough, feels a bit too light and feels like it runs the risk of getting torn if you are not careful enough with it. The remote control is placed underneath the right earpiece, and has textured, rubberised buttons for volume and playback control, and call reception/rejection. The texture on the buttons help easy access. There’s nothing to majorly fault the BoAt Rockerz 285 in terms of build quality, ergonomics and design. The earpieces remain firmly in place even when you go jogging, and the eartip reinforcers majorly help in this case. The overall build is fairly durable too, although there’s nothing really remarkable about the design. It even comes with a foam pouch to stow it in and place in bags and pockets. While the design is functional and neat, there’s no real flair that the likes of Sennheiser’s now-extinct PMX wireless activity in-ear headphones used to come with. Just like its design, the audio performance too is a bit nondescript, lacking in terms of flair and panache. The BoAt Rockerz 285 is amply loud to begin with, and is powered by two 10 mm drivers and Qualcomm’s CSR8645 single-chip stereo Bluetooth audio chipset to enhance performance, at least on paper. The headphones offer aptX Bluetooth audio codec for digital rendering and transmission of high resolution audio, and frequency response is the standard sonic range of 20 Hz to 20 kHz. When it comes to the core performance, the BoAt Rockerz 285 does deliver a fairly cohesive sound output. The overall audio feels nicely knit, playing tracks within its sweet spot with appreciable composure and quality. However, things go a bit downhill from here. The low frequency output is pronounced, and even for tracks with low bass, you can hear a distinct low frequency boom that disrupts compositions a bit. The low range is also a bit distorted at volume levels above 80 percent, and lacks intricacy. It sounds slightly muddled, and not as clean as we would have liked it to be. The highs, on the other hand, are quite clean and amplified. This gives decently detailed instrumentation like fine cymbal rolls. However, the highs are a bit too pronounced at times and sounds piercing, and you will be forced to lower the volume to below 60 percent to cut out the additional gain levels. The additional highs and lows significantly compromise the quality of the mids, with mid-frequency performance lacking flair, volume and sounding subdued. The mids, too, are a bit too shrill for our preference, and misses out on certain intricate notes that affect its versatility. 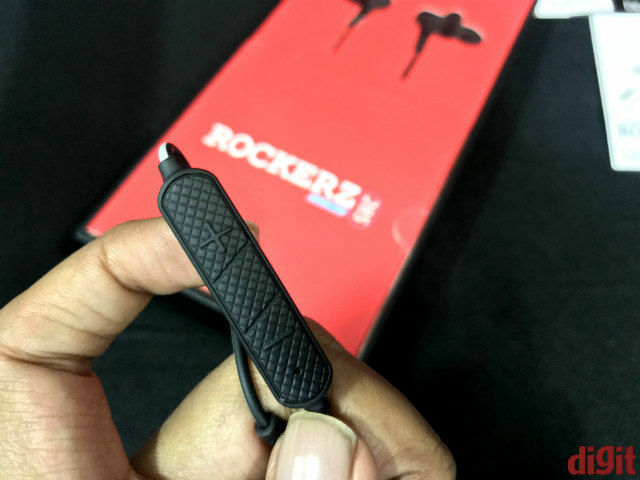 The BoAt Rockerz 285 plays best at around 50 percent volume, where the passive noise cancellation does not work too well. The overall bass delivery still lacks intricacy, and clear preference is seen in the highs. The mids sound slightly better at this point, but still sound a bit too low. There is an overall lack of composure in the audio signature when you listen to live concert-recorded audio tracks, where the slightly amplified low frequencies can be a bit jarring. The highs, too, are a bit too shrill here. It does fare acceptably well with soundstaging, but despite the decent instrument isolation, what majorly impacts here is the muddled bass and mids. The overall shrillness of the highs and upper mids do not help, either. Nevertheless, the BoAt Rockerz 285 does sound acceptably decent in bollywood tracks, but compromises when you play rock and particularly jazz. It is not particularly versatile, as is evident from its sound signature. The BoAt Rockerz 285 does reasonably well with in-call audio, and there are no real discrepancies here. The microphone, however, is not the strongest in picking up audio. You often end up having to drag the mic towards your mouth, which dislocates the left earpiece, and this can end up being fairly annoying at times. The BoAt Rockerz 285 charges to full in about one hour, and has lasted for an average of a little more than six hours per charge cycle. It also switches off automatically to conserve on power, and on average, lasts for about three-and-a-half days before you’ve to charge it again. The voice assistant prompter, meanwhile, sounds a bit too cheerful but gives no battery prompts except for a low battery prompt. There are no other ways of gauging the amount of charge left, except for the accessory battery icon in iOS. Which Bluetooth Headset is best? 1.Samsung Level U, 2.Mivi color, 3. Boat Rockerz 275, 4.Sony WI C400? Which earphones are the best? boAt bassheads 220 or JBL t100a or Sennheiser cx180?